The success of your business isn’t something you take lightly. You pour your blood, sweat, and tears into your business every single day, so if there’s something out there trying to take your business down, you’d want to know about it, right? Scammers are always looking for new and inventive ways to take advantage of businesses like yours. It is your responsibility as a business owner to be informed and to make sure your employees are informed, too. 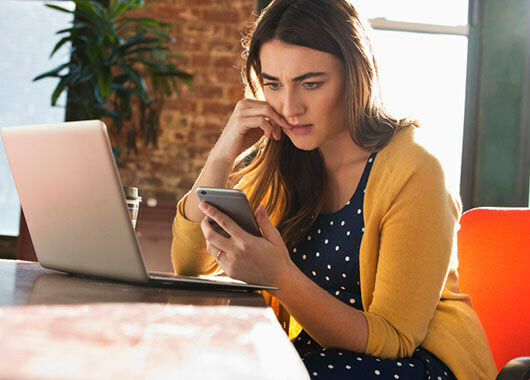 While these aren’t the only ways scammers will target your business, these are some of the most common. The best practice is just to stay vigilant and make sure that your employees do the same. Around this time of year many fraudsters go for the low-hanging fruit of tax returns. Some scammers will steal information from the servers of tax professionals in order to file false tax returns or make phone calls claiming to be debt collectors. These callers will insist the return was incorrectly filed and that they need direct payment right away. A good way to avoid falling victim to these types of calls is to hang up and call the company being impersonated directly. Scammers are able to make phone calls look like they’re coming from somewhere authentic, so don’t simply redial the number. Once you’re sure you’re talking to the right people, ask them to verify if the call or email you received is authentic. Phishing is the fraudulent attempt to obtain sensitive information by disguising as a trustworthy entity. Phishing emails are one of the most common channels used by fraudsters; and they become more and more convincing all the time. Some examples may include a cybercriminal making an email look like it is coming from your Human Resources department asking employees to update their banking information to ensure their checks come through correctly or making an email look like it’s coming from a trusted coworker with a link to what appears to be a good recipe but that instead contains a virus. Look out for emails that ask for your personal information, contain unfamiliar links and attachments, or have slight changes or misspellings in the email address or body copy. Train your staff to look for these signs, and let them know what you will never ask for over email such as banking information and passwords. Sometimes scammers will bet on you having too many invoices passing over your desk and send some through that aren’t legitimate. They’ll make them look like products or services you use, and will often make them for things that are crucial to keeping your business running like bills to keep your website’s domain name or an important supply order. If you jump to get things paid without taking a closer look, your business could be out the cash in no time. These can be especially tricky to navigate as a small business owner. You receive a call or an email promising to boost your business overnight and bring you success you never could have imagined for an unbeatable price. Scammers may even go to the trouble of creating fake websites with made-up reviews singing the praises of this “company.” It seems like an offer you can’t refuse, right? Not so fast. Take some time to do your research. Does this company exist outside of this website? And be sure to read the fine print of any agreement they try to push you into. You may find that low introductory fee you’ve been promised will skyrocket and leave you with nothing to show for it but a lot of debt.